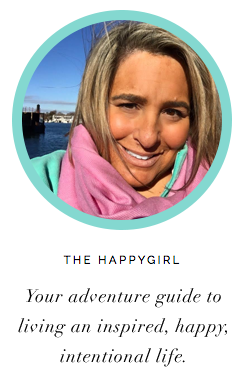 the happygirl: a happy little wonder drug? a happy little wonder drug? Not long ago I saw a Naturopath. I wanted to get her opinion on things, including getting my happy back. I asked her if there was a natural drug that could induce happiness. The answer (unfortunately) is no. There is no magic natural little pill that could make someone happy. (Yes, there is marijuana, of course, but I was looking for something that wouldn't leave me too chilled out.) I've had a couple experiences with mood altering drugs. On the day my grandfather died I freaked out and my mother gave me a Valium. I remember that floaty feeling, that super chilled out, groovy feeling but I wouldn't call it happy. There are prescribed drugs (Paxil, Zoloft, Prozac) that can help with mood stabilization and depression. She asked if I wanted to try any of these. I said no, I wasn't ready for that, not yet. She then suggested I try the over the counter supplement 5-HTP. 5-Hydroxy Tryptophan (made from the seed of the African plant Griffin simplicifolia) works by increasing the level of serotonin (the feel-good chemical) in the brain. It is often recommended for depression, sleep disorders, obsessive thinking and ADHD. There are side effects and lots of them ranging from headaches to constipation, seizures, nausea, drowsiness. . .If you read the supplement's reviews on WebMD you'll see that the side effect warnings weren't just for effect. Many people do suffer from side effects but then just as many have success with this drug, calling it a lifesaver, a wonder drug. So, did the 5-HTP work for me? Yes, it did. I combined Vitamin D + B-12 with Gaia's Adrenal Health which promotes a healthy response to stress along 5-HTP in a 12-Hour time release capsule. I keep the bottles on my desk so I remember to take them. There is no sudden rush of happy, but instead my mind is clear and focused, allowing in the happy. I also didn't think about food as much and I felt energetic. This isn't the only thing I do, though. I changed my eating plan to mostly fruits/vegetables, protein (non-animal) and grains (non-wheat). I also walk at least 3 miles a day in the fresh air if possible. While the gym is great for when it rains here in Seattle, there is something so freeing about walking outside in the open air that does a body and a mind good. If you think you need support to maintain your mood (especially in the dark winter months) don't be afraid to talk with your doctor or consult a Naturopath in your area. Do talk with someone though before self-medicating. What might be right for me or for your friend may not be appropriate for you, especially if you take other drugs or have certain medical conditions. Even natural supplements can have dangerous side effects.